Tough times for the anti-Site C crowd. Ten days ago, they jumped out in front of the BC Utilities Commission’s report (without even taking the time to read and digest its 300 pages) and claimed victory. They said the BCUC report shows the project should be shut down. 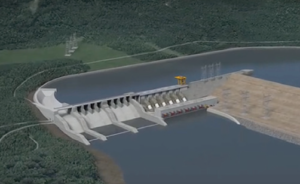 WRONG: Site C is the slam-dunk best option if B.C. ends up needing any more power. They said a number of new tension cracks have appeared at Site C, which would cost billions to fix. WRONG: those “new cracks” were actually access roads. They said hundreds of people have been laid off at Site C and that only a few people actually work there now. WRONG: Employment at the dam went up in September. They said all those workers were from out of province or Temporary Foreign Workers. WRONG: 81% are from B.C., and only 13 are TFWs. They said First Nations oppose the project. WRONG: Six First Nations have benefits agreements with BC Hydro – and scrapping the project may actually violate their rights. Also, the courts have upheld the Hydro-FN process 14 times. They said killing Site C would be better for ratepayers. WRONG: Scrapping Site C would result in an immediate 10% BC Hydro rate hike. They said that under the BC Liberals, BC Hydro projects almost always ran over budget. WRONG: Even the NDP Energy Minister said the vast majority of Hydro capital projects were under budget – and when the Liberals left office in June, Site C was on time and on budget. They said we could magically get power through the Columbia River treaty. WRONG: Even the NDP Minister says that isn’t possible. They claimed B.C. won’t need that much more power. WRONG: The model they invented was hopelessly flawed – torqued to back their beliefs, but not rooted in reality. They claimed that Site C would flood farmland equivalent to feeding 1 million people. WRONG: This is just outright nonsense. It’s so inane, it’s mind-boggling. If it were true, the Peace would be feeding all of Canada today. They claimed that Site C is bad for the environment. WRONG: Actually, it’s the best way to address climate change. They say alternative energy can be done more cheaply. WRONG: Every country they list as an example for us pays several times more for their energy. And Ontario is a disaster – thanks to their push for alternative energy. Every argument these professional protestors have lobbed against Site C has been debunked. Hopefully the NDP cabinet is smart enough to see through the anti-Site C lies. ICBA CAST: Site C Saved! It seems left wing people are almost incapable of connecting the dots. They come up with grand ideas to save the planet and give people free everything but don’t think of consequences, costs, how to pay for it, and other common sense issues. That’s what is going on with the NDP’s opposition to Site C. Hopefully, they will eventually realize the best option is to proceed with the project. W C Bennett had a vision for BC not like the NDP.The wont last long hope so!!!!!! “Hopefully the NDP cabinet is smart enough…” That’s a huge hill hehind which to hide! Given our experience with the Governing NDs east of you, I would not hold my breath. Ideology rules their decision-making processes and has nothing to do with science, logic, or rational thought. That being said, I do hope the project is completed; Alberta will be looking for baseload electrical energy if the rush to “green” energy continues. You only have to look to Australia to see, in glorious detail, the mess that can happen here. I for one an IBEW local union 993 in Kamloops British Columbia Canada. Im also in favor of this project we need the work.Ive worked on a number of power dams in BC.Bennet Dam Mica Dam 7 mile Dam.Revelstoke dam. D. Jerome Hauk, you stole my thunder, but I will reiterate — Alberta would sure like to get ahead on their green foot print, so if we sell them a little hydro to help pay for the project it would help the ‘greens’, help any alleged over budget issues, maybe scale back on the coal fired co-gens in AB, make high wage employment for sure, damn NDers, just a little thinking and we’re moving forward. How can clean abundant hydro electric power not be the absolute best kind of energy possible. Zero pollution … zero dead ???? birds. Once up and running, very economical. The NDP are against pretty much everything that makes sense. Who are the fools who vote them in? More power is a nessary for the future!! !